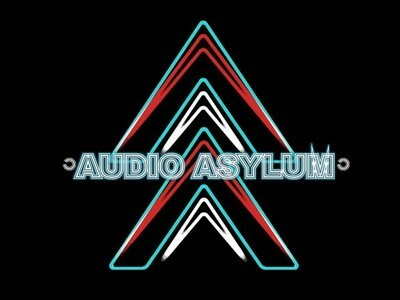 Audio Asylum are an indie rock four piece best served live. They are among the most talented and nicest guys on the unsigned circuit right now. With members of former ‘Silk Pigs’ fame (I hope the guys don’t mind me dropping that in there) their current formation is a treat to behold on stage, with dynamic songs that are full of energy, my question is: does this performance power translate in their latest studio offering? Swaggering it’s way to the front of the class is ‘Into the Fire’. Packed with a sinister bounce, it’s riffy yet intelligent, not to mention infectious. There’s a definite doffing of the cap to mid 90’s Radiohead with a pinch of The Seahorses for good measure, yet the sound doesn’t get lost amongst the nostalgia, we’re probably closer to something that would give Franz Ferdinand a run for their money. The song as a whole is pitched perfectly, with changes in all the right places, melodic vocals, clever guitar intricacies and a runtime of just over 3 minutes, ‘Into the Fire’ packs a punch that’s sharp and hard. If I was teacher, this song would be pet. Next is ‘Autonomy’, which provides a clever change of pace, not in a “look at us, aren’t we clever” kind of way but in a way that simply gives the band’s vocals and song writing skills room to breath. Vocally we’re venturing into The Smiths territory with this slightly more maturer effort. With gorgeous harmonic bass runs and superbly accented drum fills, it’s clearly a talented effort but it still manages to remain refined… that is until the ending. Just when you think you’ve got this one figured out, the previously subtle guitar kicks the doors in like the school badass to show these clever clogs a thing or two, cue the blistering solo. It’s a strange choice of ending, maybe this is the band’s attempt to capture their live presence? I’m not sure it works, but one thing IS for sure, it’s got balls. ‘Pressure’ is the bands most commercially accessible song. With a guitar lick that’s akin to The Editors, it kicks the song into life in the verses in a lovely contrast to the stripped down chorus. But wait! More surprises are in store, the song all but disappears to a gentile solo guitar, thuds of bass gradually bashing their way into the limelight, brilliantly accented by trills of symbols, all gradually building and building to a truly spectacular crescendo. With magisterial addition of ghost like vocals that wouldn’t be out of place on a QOTSA track, it is a beautifully composed and rather unlikely ending to the song. I have no school euphemism for this track. Maybe it’s the cool foreign exchange student? It’s evident that this is a talented band with great songs and while the recording has been expertly done (each song being clear, bright and not over produced), there appears to be some oversights in the mixing department for the low end, which is particularly noticeable midway through Autonomy (around the 1:30 mark). Also, it’s not quite as tight as I would have liked, with that being one for major factors that had blown me away at their gigs. Maybe the band decided to record live in the studio to capture that “energy” I’ve been harping on about? So, back to my initial question. Can these guys translate what they produce on stage to your headphones? My answer is no, you have to see this band live! This is not a detriment to their recording, but a testament to the band and their amazing live performance. Audio Asylum are a 4-piece indie-rock band who blend dirty riffs, catchy melodies and raw energy, ensuring that every sound resonates with the listener. Since forming in the Summer of 2010, the band have been blowing away audiences with their intense, infectious and emotive performances. Now widely regarded as one of the best live bands in the North West, Audio Asylum have performed at a number of high profile events, including the internationally renowned Mathew Street Festival. They have also enjoyed continuous radio play throughout Europe and across the pond. Behind the rock n roll lie 4 inhumanly talented individuals with a desire to bring you songs that are based upon lyricism and musicality rather than electronic beats and commerciality. Please take a listen to the bands 3-track demo. It has already received critical acclaim, being awarded 4/5 by Top Hat magazine and 10/10 by Mangone Music. We would be grateful for your feedback. You can stream the demo for free on this site, or pick up a CD from any forthcoming gigs. Check out www.facebook.com/rebelsouluk for gig listings. The post Audio Asylum appeared first on MakoMusic.